Uh oh. Looks as if Meredith has inherited her mother's relaxed approach to school. 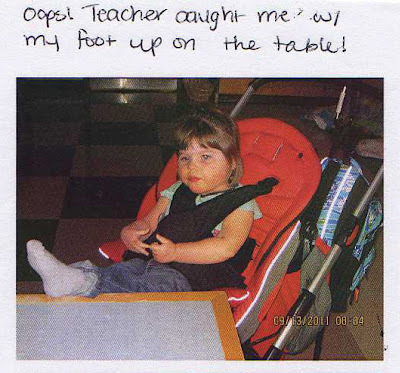 They sent home this note/photo today. The other shot is showing a neat swing adaptation that they use in many different configurations during physical therapy.